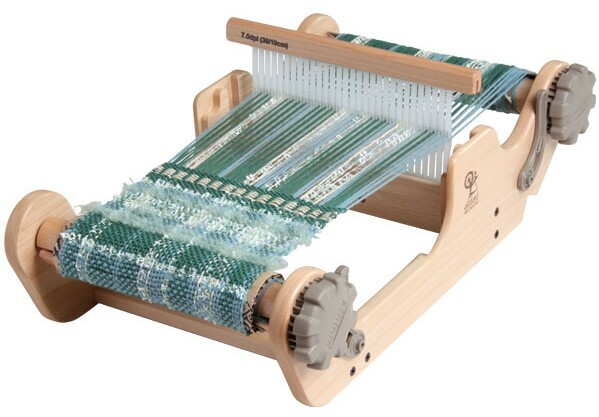 The 20cm (8ins) weaving width allows you to sample all your favourite rigid heddle patterns, textures and colours. So compact, it is only 1.1 kg (2.5lbs). 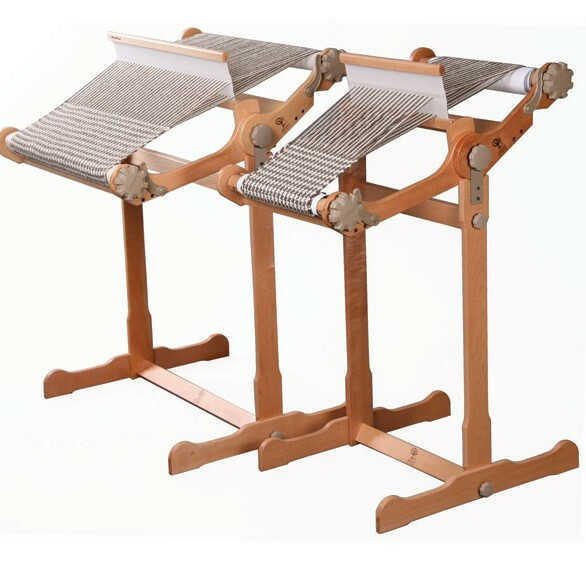 A strong and sturdy loom stand for Knitters Loom 50cm Easy to assemble and attach, you can weave anytime anywhere without a table. 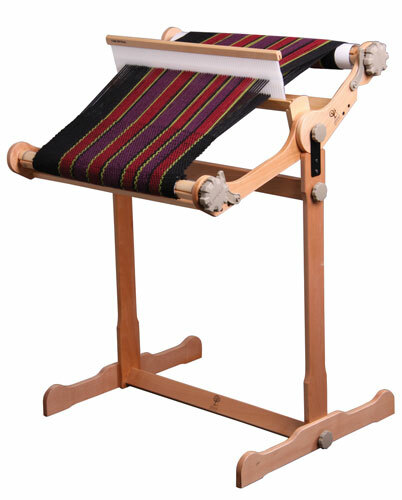 Adjustable loom angle and foot rest for comfortable weaving. Made in lacquered solid Silver Beech hardwood to match your Knitters Loom.